Master Ch’ng can trace his masters back to Cheng Man Ching (pictured). 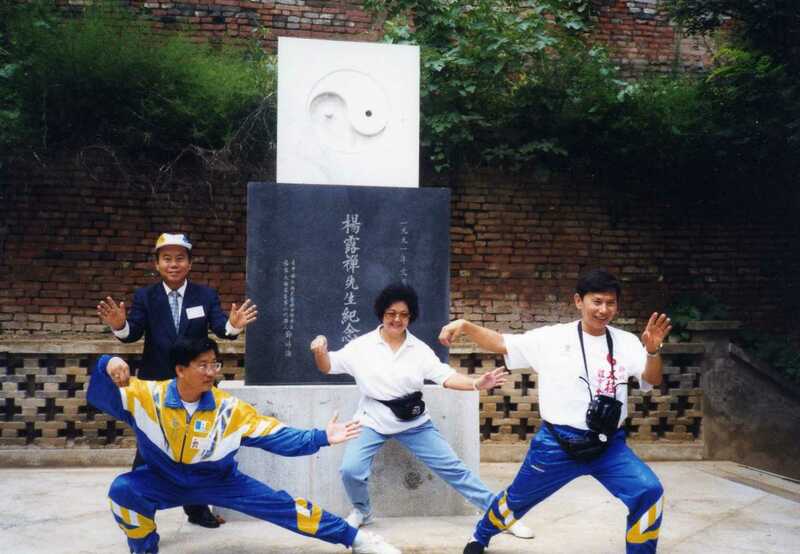 Cheng Man Ching is credited with bringing Tai Chi to the West in the 1970’s. He popularised Tai Chi by reducing the long form of 108 steps, to the short form form of 37 steps. Knowing this lineage allows his students to feel confident that Master Ch’ng’s teachings are as true to the original Yang family transmissions as possible. 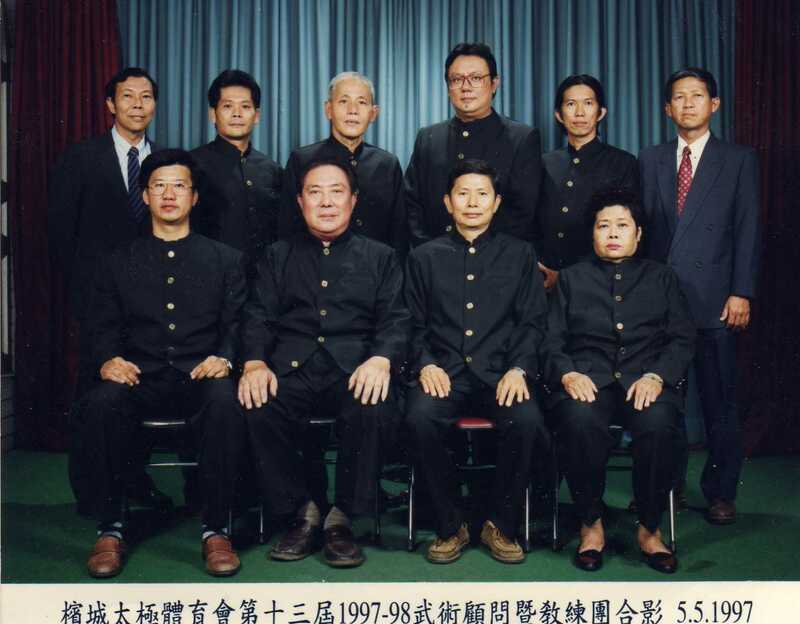 Master L.S.Ch’ng is the third generation of descendants of the Cheng Man Ching Tai Chi Chuan. 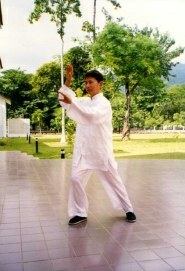 The Chief Instructor at the PENANG TAIJI ASSOCIATION, MALAYSIA for 6 years before he left to live in the United Kingdom. Teaching at the Penang Taiji Association for more than 20 years starting as an assistant instructor, instructor, Deputy Chief instructor and finally was nominated and elected Chief Instructor. 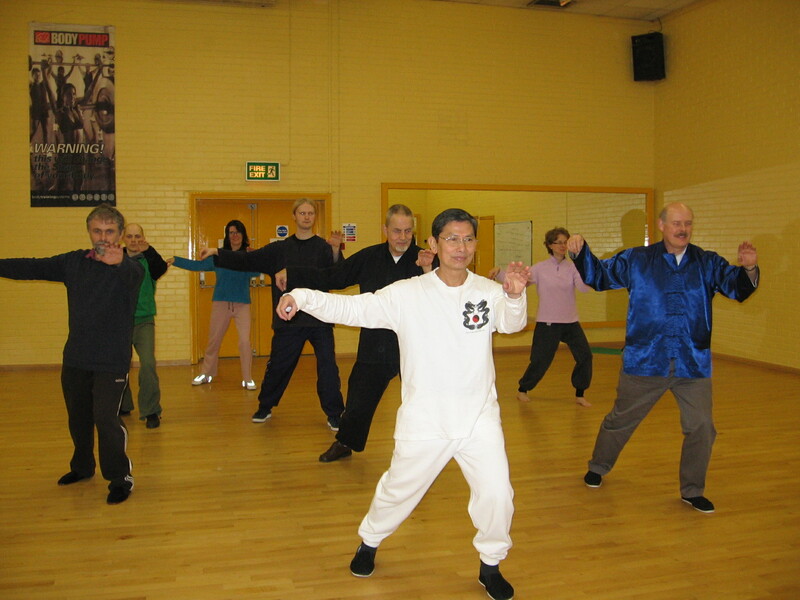 Advisor to the Taijiquan group led by Master Liam in Dublin, Ireland. Instructor to the Free School Residents Association Penang, Malaysia. Born during the Japanese occupation of Malaya in 1944, Master Ch’ng was the ninth in a family of 11 children many of whom suffer from heart problems. Master Ch’ng himself had serious health problems like heart pulpitation, migrane, and a weak digestive system. Coming from a poor home and the whole family being Chinese educated, he was unable to get Western medical help. Chinese medical herbs were prescribed by a relative who was a Chinese physician giving them free consultations and prescriptions. Although the herbs gave him great relieve, it did not cure him completely. So, from schooling age until after graduation from college and through teaching in a secondary school, he suffered from those problems. In 1967 he graduated from The Malayan Teachers’ Training College and was posted to Johore, the southern most State of the Malay Peninsula, far from his home state of Penang, ‘The Pearl of the Orient’. He was further tormented when people do not understand the sufferings of migraine and think he was just trying to give excuses for a rest to stay away from work for he appeared no different from ordinary healthy days. His migraine could be easily triggered. It could be slightly too cold or slightly too hot; too much sleep or not enough sleep; too much drink or inadequate water intake; too much brightness – like a flash of light from the sun or a bulb or torch; excercising too much or a slight chill after exercise, and many other triggers. The whole process would take from 4 to 6 hours to complete. When he was lucky, at good times it happened once a fortnight or longer, but at bad times it happened up to 3 to 4 times a week. There were times when he had ‘a double’, that is, 2 attacks in one day. Medications he took were Chinese herbs for heart and migraine, Asporo, later changed to Aspirin, and later to Panadol and then Paracetemol as pain relieves for migraine. 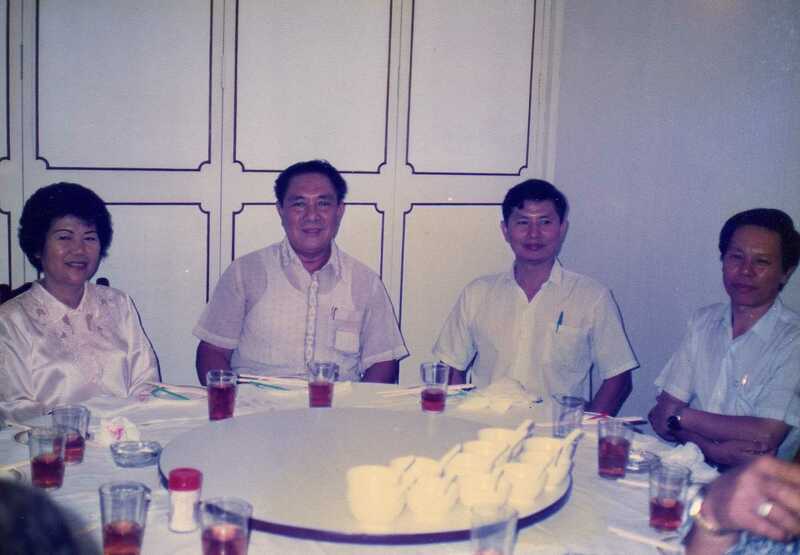 Such were the torments till 1972 when a group of friends, fellow colleagues decided to pay a Tai Chi master Master Gan Soo Seang to come over to Tangkak, Johore to teach Tai Chi Chuan. He was quite skeptical at first but since his housemates were all joining in he went along. They had to go through a tea ceremony to pay respect to him as their master and offer respect to the legendary founder Chang San Feng. They paid the master for the Bai Tze in a red packet. Other than that they paid him monthly fees, provide food and lodging and entertainment. They had two sessions a week, practicing health forms and then push hands. It was after about 1½ to 2 years of conscientious daily practice and training, individually as well as in a group, of Taiji forms, Taiji push hands and Taiji Chi Kung meditation, that one day to his great relief he realized that he hadn’t had any migraines for quite some time! He was not very sure if it has really gone for good. He observed for a few weeks, then months; YES!! HURRAY!! He has conquered it! There were no more migraines and no more heart problems. Then it was after this period of confirmation of this accomplishment that he started out in search for more masters. It was sad that he had to go without guidance from a proper master for about a year when he had to train on his own diligently, for he was transferred to serve in a school in a remote area in the Northern state of Perak, Malaysia after 1974. 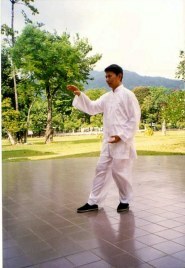 But by then he knew that Taijiquan is good for him and he could not stop practicing. He was intent to go on a hunt to dig for more treasures of the art. It was in Penang that he found Master Wan Kean Chiew who was a master with tremendous ‘jing’. He has a great number of followers both local and from afar. It was from Master Wan that he acquired quite some great treasures. Master Wan has the jing few people have acquired. Then Master Ch’ng was accepted as a ‘Tu Di’ of the Great Master Tok Sing Gim from whom he received the best of the treasures. 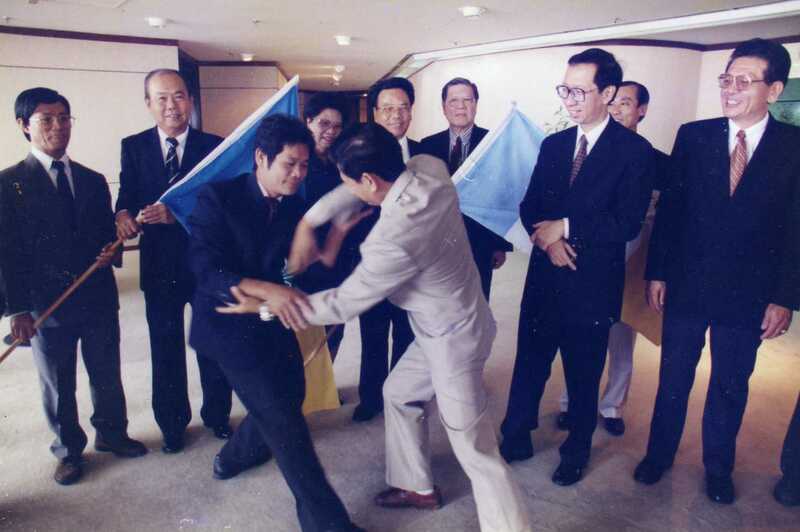 Grandmaster Tok was nicknamed ‘Tiger of South East Asia’ by the internationally renowned Black Belt Magazine. Local people called him ‘Tiger’. He was a humble and straightforward Master who has no hidden secrets. Although he was big in size he was soft to touch. You wouldn’t be pushing a rock but you would feel a soft pillow in him when you try to push and topple him. He was so soft yet so powerful. Many a soul had insisted that they had a try of a small amount of his Jing and went reeling home with great discomfort internally although there was no noticeable damage externally. There had been masters who came to Penang to push with him and were sent flying meters across the hall. It was after a good time trailing the humble ‘Tiger’ that finally Ch’ng was accepted by Master Tok as a disciple. He is honoured to be one of the first certified disciples of Master Tok. Master Tok is the Second generation of the Cheng Man Ching Lineage being one of the most excelled desciples of Grandmasater Yeh Siu Ting. 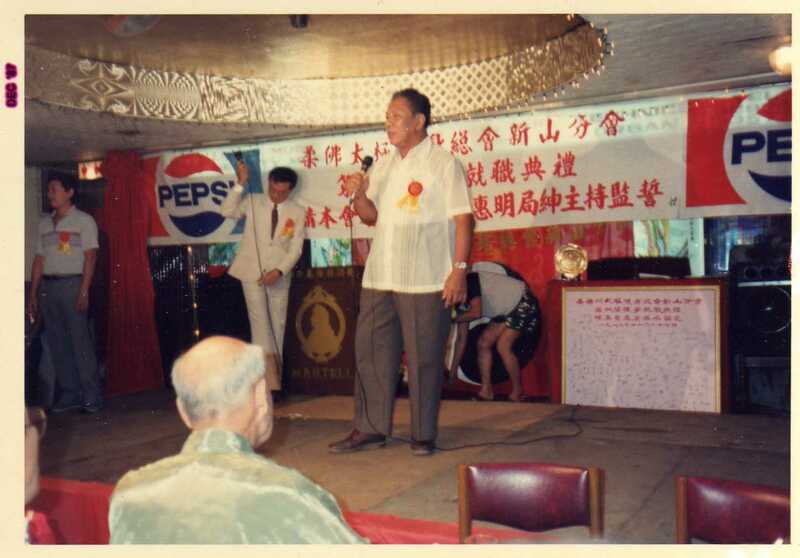 Grandmaster Yeh was a small sized unassuming student of Professor Cheng Man Ching, He came over to Penang and practically showed his Taijiquan skills and ability to the Taijiquan practitioners of Penang astonishing them to honour and respect him as one of the greatest masters in the East. The above were not the only Great masters from whom Master Chng had the honour to receive invaluable transmissions. He received precious advice from various masters in Penang, as well as those from afar. It is sad, according to Master Ch’ng, that he is unable to be as accomplished as the great masters but he will try his best to transmit whatever he has learnt from them to future generations with whom he has the ‘ian’ or opportunity to meet. 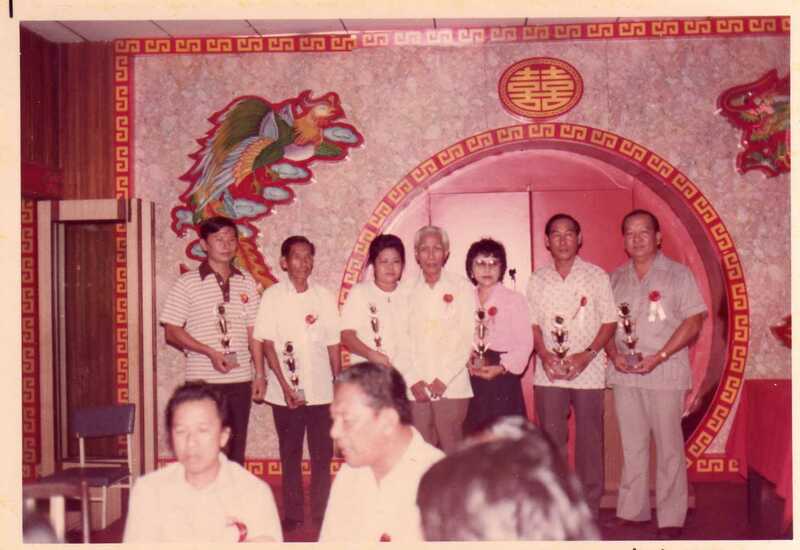 In 1975 Master Ch’ng became a member of the Taiji Association of Penang, Malaysia. There he learnt and practised with fellow practitioners. 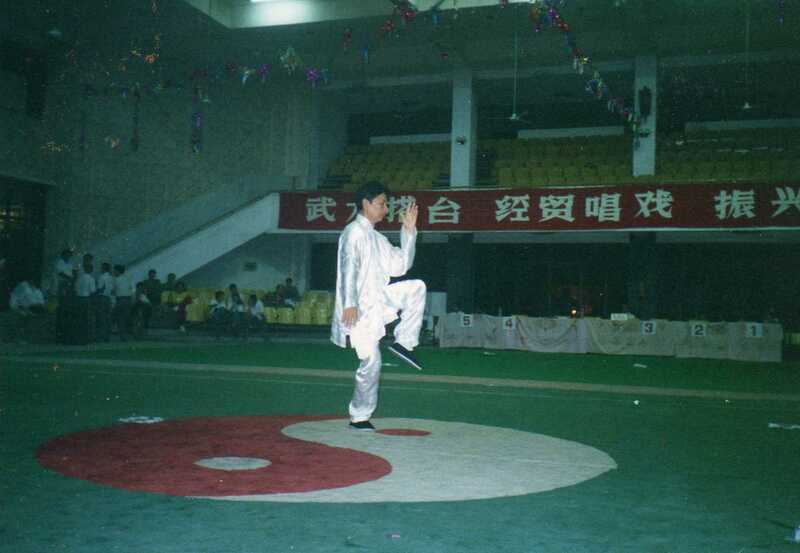 It is at this association that he continued to practice push hands and defence applications with a wide diversity of enthusiasts, from ordinary learners to expert instructors of various groups. He was observed and later appointed as an assistant instructor of the association. By 1981 he was picked to join the hierarchy to be one of the instructors of the association. It did not take him long to be promoted to be Deputy Chief Instructor and in 1997 he was elected to be Chief Instructor of the Association. He was Chief Instructor till 2002 when he left for the United Kingdom to join his family. 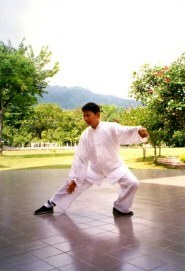 Master Ch’ng has therefore served more than 20 years as instructor at the Taiji Association Penang. 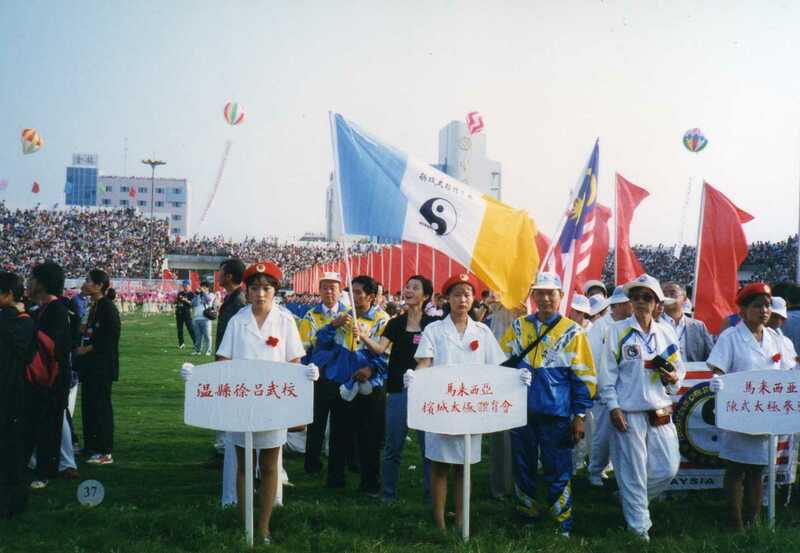 He was also engaged by various groups to transmit his knowledge, amongst which were the Penang branch Mensa Society at the Penang Caring Society Complex, The Aun Koay Association, The Free School Residents Association, The Dublin Taiji group led by Master Liam of Ireland, and private individuals locally and afar.